Big Brother Barack Obama has instituted infrastructure making “1984” a reality in the second decade of the 21st Century. “The right of the people to be secure in their persons, houses, papers, and effects, against unreasonable searches and seizures, shall not be violated, and no Warrants shall issue, but upon probable cause, supported by Oath or affirmation, and particularly describing the place to be searched, and the persons or things to be seized.” Fourth Amendment to the United States Constitution, Bill of Rights. Elected officials in our Federal Government of both parties have stretched the Constitution beyond the limits. The Fourth Amendment is clear in declaring the scope of protection it guarantees to We the Sovereign American People, in our inviolate Right to be safe from governmental spying upon our lives, without specific sworn testimony of probable cause that a crime has been committed. internet activities include an extension of my constitutionally protected “right to travel,” just as is the right to operate and/or ride in a private vehicle and to travel by public transportation. On the last one, I am confident that the Framers and the Citizens who insisted that this and the other Nine Amendments become part of the Constitution, would agree that modern technology has provided us with many means of “travel” undreamed of in their time. Not having had such miracles at their disposal, had they been given a glimpse into the Future – our comparatively wondrous time – they would have fully apprehended the freedom of travel that all modern forms truly provide; including the right to travel by horse or carriage when so one chooses. Claims and court decisions to the contrary, when I purchase the use of a company’s equipment for my private communications and/or “travel” via surfing the ‘net, I do not give-up my right to the private nature of my actions. The requirement for Warrants is obviously the mechanism for insuring the Right to Privacy inherent in this Amendment. Blanket Warrants expanded to cover ANY American under the sworn accusation of probable criminal acts other than the person against whom the warrant legitimately issued, are without doubt unconstitutional. Any finagling and wordsmithing to the contrary is wrong. Any action taken by government directly, or through intimidation of private entities, to monitor and/or gather private information without probable cause is unconstitutional. “Laws” to the contrary are unconstitutional. Just because two or more branches of government collude to pretend lawfulness and constitutionality, does not make it so. such mega amounts of data on its citizenry. This is not happening to catch terrorists! It may or may not be used for that purpose. I, for One, do not believe everything the government says! WE THE SOVEREIGN AMERICAN PEOPLE!!! 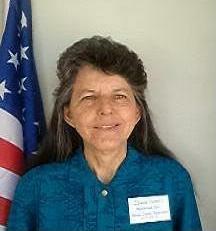 Example on-point: the recently publicized Obama Internal Revenue Service’s unconstitutional treatment of hundreds of citizen groups applying for 501(c)4 status, as it imposed inexcusable processing delays and – with penalty of perjury – demanded that constitutionally protected information be supplied. collecting data on YOU, without a warrant. If they have the audacity to blatantly conduct fishing expeditions, who really believes the terabytes of information they are storing gathered from secret surveillance against ALL AMERICANS would not be treasure troves for tyrannical government? “In the United States, we are supposed to have a government that is limited with its parameters established by our Constitution. This notion that the federal government can monitor everyone’s phone data is a major departure from how Americans have traditionally viewed the role of government. “If this is acceptable practice, as the White House and many in both parties now say it is, then there are literally no constitutional protections that can be guaranteed anymore to citizens. The National Security Agency (NSA) is also conducting Internet spying through the servers of at least nine internet service companies. Everything we do online is open to unconstitutional spying. 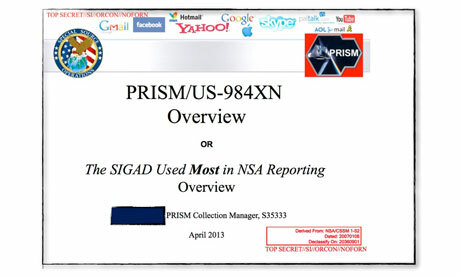 “The NSA access is part of a previously undisclosed program called Prism, which allows officials to collect material including search history, the content of emails, file transfers and live chats, the document says. “The Guardian has verified the authenticity of the document, a 41-slide PowerPoint presentation – classified as top secret with no distribution to foreign allies – which was apparently used to train intelligence operatives on the capabilities of the program. The document claims “collection directly from the servers” of major US service providers. “The Obama administration is invoking an obscure legal privilege to avoid judicial scrutiny of its secret collection of the communications of potentially millions of Americans. “Civil liberties lawyers trying to hold the administration to account through the courts for its surveillance of phone calls and emails of American citizens have been repeatedly stymied by the government’s recourse to the “military and state secrets privilege”. The precedent, rarely used but devastating in its legal impact, allows the government to claim that it cannot be submitted to judicial oversight because to do so it would have to compromise national security. “The government has cited the privilege in two active lawsuits being heard by a federal court in the northern district of California – Virginia v Barack Obama et al, and Carolyn Jewel v the National Security Agency. In both cases, the Obama administration has called for the cases to be dismissed on the grounds that the government’s secret activities must remain secret. “Over the last week, three main prongs of top secret government intelligence activity have come to light. 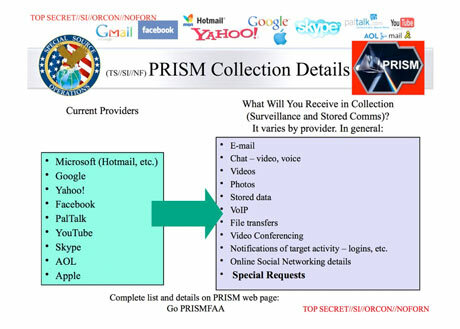 These are the dragnet collection and storage of Americans’ phone records; the exploitation of data from the world’s largest Internet companies with their apparent co-operation; and the casing of potential targets overseas for pre-emptive cyber-attacks. wiretapped the phones of twenty members of the press, and personally signed-off on an unjustified and unconstitutional warrant application against Fox Newsman James Rosen. Holder recently lied to Congress by saying he had nothing to do with such actions against the press just before the Rosen case and Holder’s own involvement becoming public. Already proven rogue in its blatantly unconstitutional actions against groups applying for 501(c)4 status, the Internal Revenue Service is expanding to include 16,000 Obamacare Enforcers, as millions of private, patient medical records have already been transferred into IRS hands. instant Executive Branch access to ALL OF AMERICA’S PERSONAL DATA, along with that being gathered and stored from cellphone records and the Internet, at the whim of unscrupulous governmental officials and/or “lone wolves” to abuse at will. The president (now, and whomever that is in the future) will hold unprecedented, UNCONSTITUTIONAL, TYRANNICAL POWER over the lives of every American, and every person residing here to whom the government grants access to Obamacare. In February, 2013, Congresswoman Maxine Waters (D-CA), in an interview with TV One’s Roland Martin, extolled the virtues of Obama’s campaign database built by his “Organizing for America” campaign. That campaign organization was later transformed into “Organizing for Action,” a 501(c)4. I would surmise that this (c)4 was not subjected to months of delay and demands for information that the government has no constitutional authority to gather! “…sounds like this is starting to become a hobby of President Obama’s. “‘And that database will have information about everything on every individual in ways that it’s never been done before,’ Waters said, referring to President Obama’s Organizing for America…. “‘… The inauguration represented the beginning of his second term, but it also represented the countdown to the end of his presidency. And the reality is, like anything else, you better get what you can while he’s there because, look, come 2016, that’s it,’ Martin said. “‘I don’t know, and I think some people are missing something here,’ Waters said. NO UNCONSTITUTIONAL “LAW” IS LEGAL!!! This entry was posted in Collectivism Progressivism, Dare Call it Treason, Is This Really America, Post Constitutional America, We the People Speak, WHO IS Obama on June 13, 2013 by Itasca Small.